Expand your smartphone's camera capabilities with this easily applied clip on lens system, giving you a variety of new effects to add to your photos. 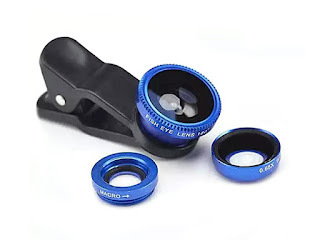 Just attach one of the included three lenses to your phone's camera and start shooting. Want a few different looks? No problem, the lenses are easily removed and switched so you can find what works best for you.